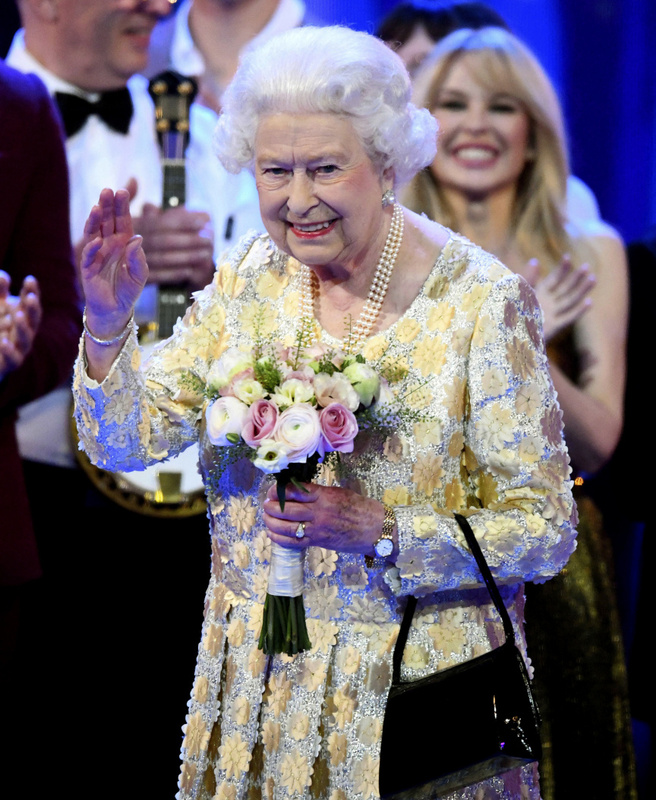 LONDON (AP) — The audience at Royal Albert Hall got a rare treat Saturday — the chance to sing "Happy Birthday" to the longest reigning monarch in British history. Queen Elizabeth II, with her eldest son Prince Charles at her side, waved to the crowd as they celebrated her 92nd birthday in song. Charles got an enthusiastic response when he introduced her as: "Your majesty, mummy." 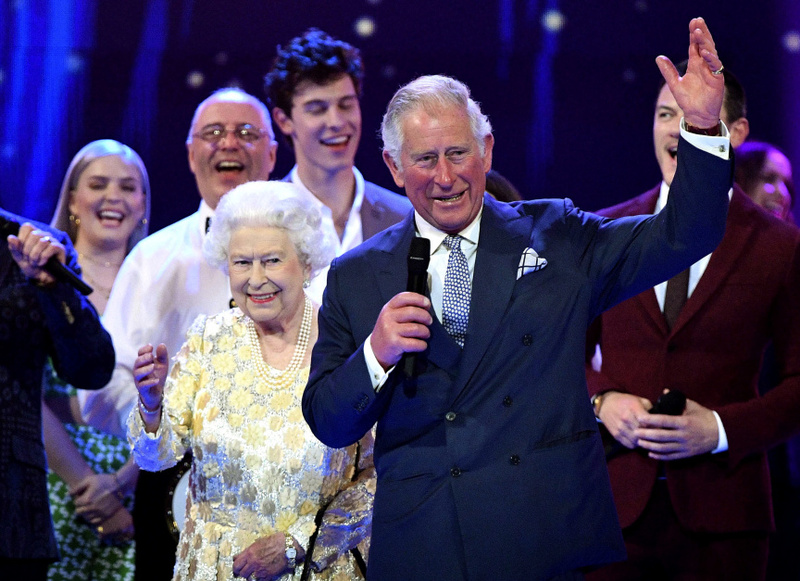 The queen took center stage after a varied pop concert featuring British singers Sting, Tom Jones and Jamie Cullum along with Australian star Kylie Minogue, long a fan favorite here. 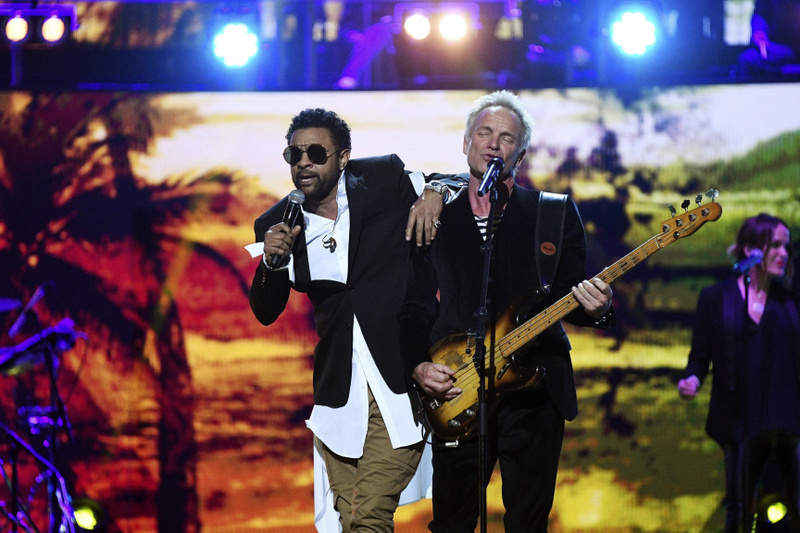 Shaggy and Craig David also performed, and the festivities took a long stroll down memory lane, with audio from a speech Elizabeth made on her 21st birthday and video from her Golden Jubilee, when roughly 1 million people gathered outside Buckingham Palace to honor her. 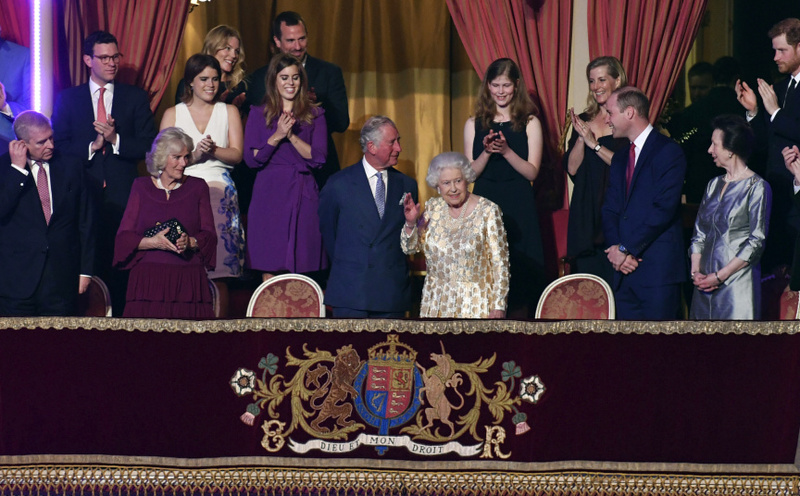 She was flanked in the royal box by Charles, heir to the throne, and Prince William, next in the line of succession. 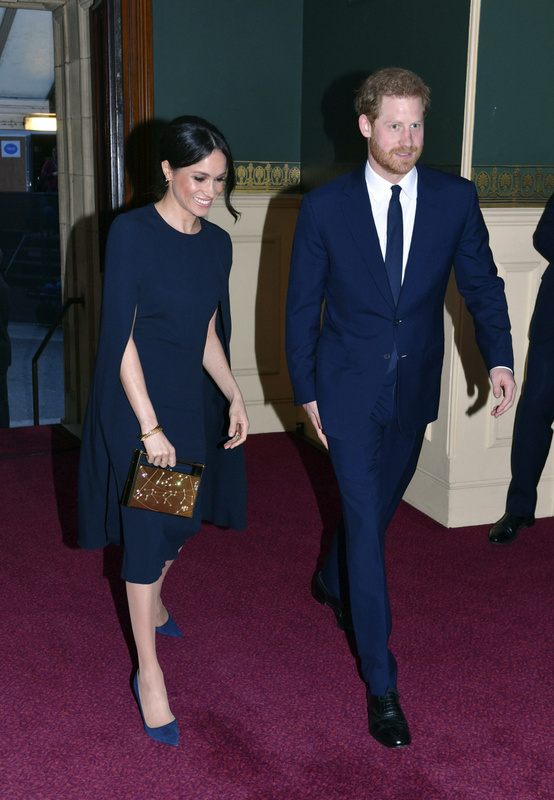 Prince Harry and fiancee Meghan Markle also attended, generating a roar of applause when they took their seats. The couple will wed May 19 at Windsor Castle. Prince William's wife Kate, the Duchess of Cambridge, did not attend. She is expecting the couple's third child. The queen's husband, Prince Philip, was also missing. He is recovering from hip replacement surgery. The show featured contemporary tunes, but included songs from earlier eras, including selections from "My Fair Lady" — one of the queen's favorites — and a sentimental rendering of "Wonderful World." 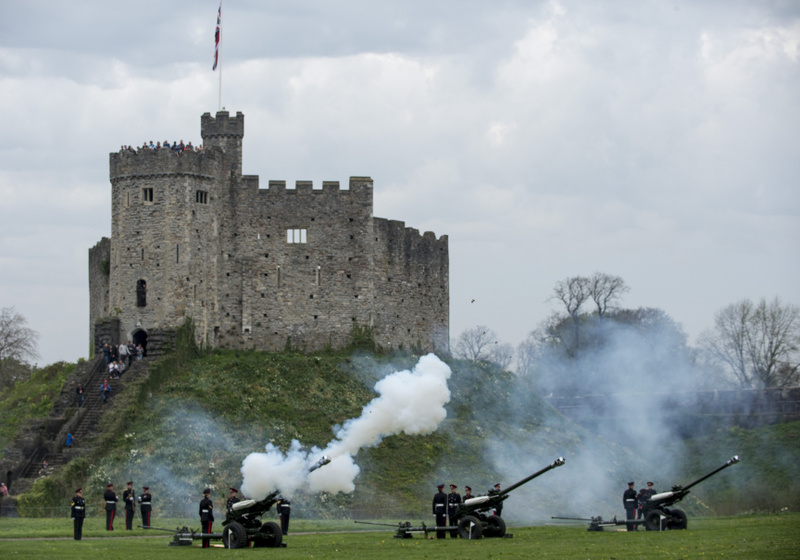 Earlier in the day, honorary gun salutes were staged at Hyde Park, the Tower of London, a castle in Wales and the town of Windsor to mark the occasion. The queen celebrates two birthdays every year: Her actual birthday on April 21, which she usually marks privately with her family, and her "official birthday" in the summer. That usually falls on the second Saturday in June, when she joins the Trooping the Color military parade in central London. Elizabeth's real birthday this year came on the tails of the Commonwealth Heads of Government meeting, which brought the leaders of the 53 Commonwealth countries together in England. The queen has led the disparate group, made up of Britain and its former colonies, since she took the throne in 1952.